What is the Little Scottish Cluster? 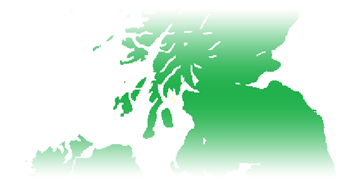 The Little Scottish Cluster (LSC) is a group of families who share a recent Y-DNA genetic relationship. The most recent common ancestor (MRCA) of this group lived in Scotland about a millenium ago. This website is a place for the members of this cluster to come together, share information, and to trace their common roots. There is also a Little Scottish Cluster project at FTDNA, where we hope most of our data collection will take place in the future. If one looks at the STR data, the Little Scottish Cluster has a very distinctive pattern of mutations. Compared to the R-L21 modal haplotype, the LSC modal haplotype differs on no fewer than 16 markers. This is not an unreasonable number for a group who was founded several thousand years after the founding of R-L21. What is striking is the fact that almost no other men have been found which look to be related to them within the last couple thousand years. Over approximately the last 3000 years, it seems as though only one family line as survived to found the LSC. Almost all (there's one known exception) of the other branches off of this line have died out. The LSC seems to have been founded in Scotland (hence the name), perhaps near Stirling or Perth about 1200 years ago. Where the line lived before that isn't known. The DF21 mutation seems to have originated in the British Isles, and is probably about 3000 years old. As such, it's reasonable to expect the LSC line to have lived somewhere in the British Isles, but it could have been anywhere. We need more intermediate men to tell us more. There is a man named Reddin whose family line split from the primary group before its rapid expansion. He has very few close genetic cousins, compared to hundreds for tested members of the LSC proper. One can only speculate as to the social, economic or perhaps environmental reasons as to why some lines have produced so many descendants, while others very few. Those wishing to know more about what our possible history may be might enjoying reading Steven Colson's article on our history from the November 2007 issue of the Journal of Clan Ewing.